I found myself in the San Juan Islands in Washington for Memorial Day. My friends Dave and Jane had just wrapped up their NOLS Instructor Course in sea kayaking in British Columbia and were “looking to chill.” Well, chilling happens to be my middle name and I was keen to do some of that on Orcas and Lopez islands dodging mainland craziness for the long weekend. 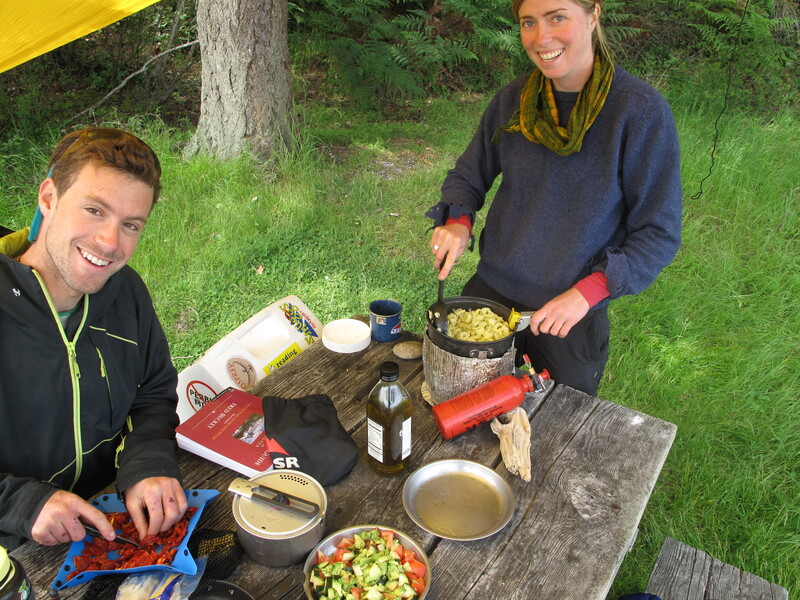 What do you get when three outdoorsy foodies get together? Bomb meals for breakfast lunch and dinner. 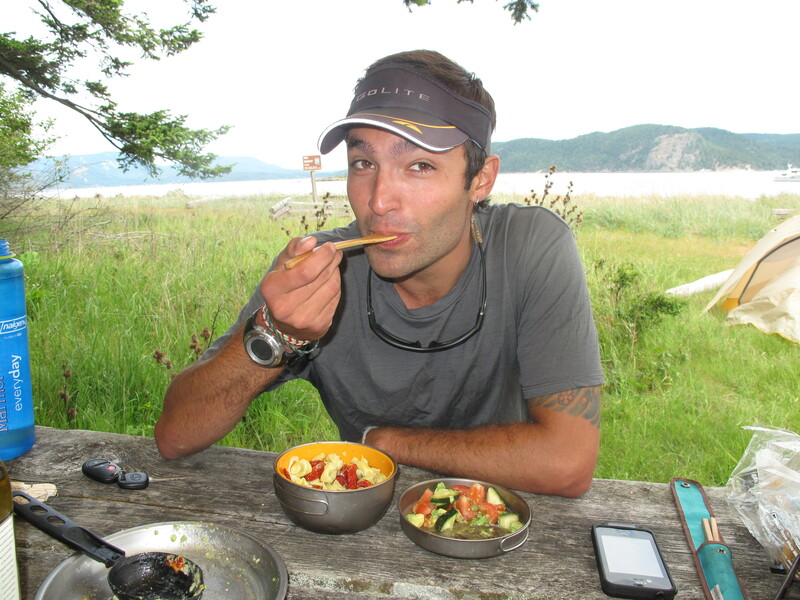 Monday’s lunch at Spencer’s Spit on Lopez Island, Dave and Jane’s Tantalizing Tortellini had me ready for some titillating tidepooling. Tortellini: Spinach and Cheese tortellini, sun dried tomatoes, asiago cheese and lemon butter (leftover from last night’s fire-cooked clams). The salad gives you a few options, or three depending on your patience. Dave opted to stir it into the tortellini hot. Stir it in, let it cool and eat it all like a tortellini pasta salad, yum. Eat it on the side like a normal salad. Check back soon for details on Memorial Day’s feast: Fire BBQ’d Oysters, San Juan Cous Cous and Jane’s Orange Brownies–Brownies literally cooked in a fire inside of oranges! Backcountry cooking at its finest. Is there a NOLS acronym for that? Friend! Looking forward to getting in a paddle soon! Wow that sounds so delicious!